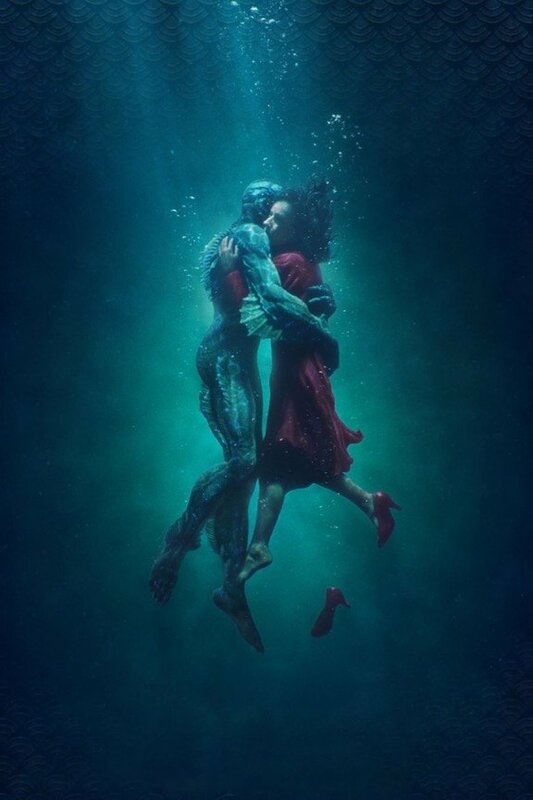 The Dallas-Fort Worth Film Critics Association voted the fantasy romance THE SHAPE OF WATER as the best film of 2017. The association consists of 34 broadcast, print and online journalists from North Texas, including this reviewer. Rounding out the top 10 films of the year were THE POST (2), LADY BIRD (3), CALL ME BY YOUR NAME (4), GET OUT (5), DUNKIRK (6), THREE BILLBOARDS OUTSIDE EBBING, MISSOURI (7), I, TONYA (8), THE FLORIDA PROJECT (9) and DARKEST HOUR (10). For Best Actor, the association named Gary Oldman for DARKEST HOUR. Runners-up included James Franco for THE DISASTER ARTIST (2), Daniel Day-Lewis for PHANTOM THREAD (3), Timothee Chalamet for CALL ME BY YOUR NAME (4) and Tom Hanks for THE POST (5). Sally Hawkins was voted Best Actress for THE SHAPE OF WATER. Next in the voting were Frances McDormand for THREE BILLBOARDS OUTSIDE EBBING, MISSOURI (2), Margot Robbie for I, TONYA (3), Saoirse Ronan for LADY BIRD (4) and Meryl Streep for THE POST (5). In the Best Supporting Actor category, the winner was Sam Rockwell for THREE BILLBOARDS OUTSIDE EBBING, MISSOURI. He was followed by Willem Dafoe for THE FLORIDA PROJECT (2), Richard Jenkins for THE SHAPE OF WATER (3), Armie Hammer for CALL ME BY YOUR NAME (4) and Woody Harrelson for THREE BILLBOARDS OUTSIDE EBBING, MISSOURI (5). For Best Supporting Actress, the association named Allison Janney for I, TONYA. Runners-up were Laurie Metcalf for LADY BIRD (2), Mary J. Blige for MUDBOUND (3), Holly Hunter for THE BIG SICK (4) and Octavia Spencer for THE SHAPE OF WATER (5). Guillermo del Toro was voted Best Director for THE SHAPE OF WATER. Next in the voting were Greta Gerwig for LADY BIRD (2), Christopher Nolan for DUNKIRK (3), Steven Spielberg for THE POST (4) and Jordan Peele for GET OUT (5). The association voted THE SQUARE as the best foreign-language film of the year. Runners-up included THELMA (2), BPM (3), FIRST THEY KILLED MY FATHER (4) and IN THE FADE (5). CITY OF GHOSTS won for Best Documentary over JANE (2), AN INCONVENIENT SEQUEL (3), EX LIBRIS: THE NEW YORK PUBLIC LIBRARY (4) and LAST MEN IN ALEPPO (5). COCO was named the best animated film, with LOVING VINCENT as the runner-up. Greta Gerwig won the Best Screenplay award for LADY BIRD over Guillermo del Toro and Vanessa Taylor for THE SHAPE OF WATER. The award for Best Cinematography went to Dan Laustsen for THE SHAPE OF WATER, followed by Roger Deakins for BLADE RUNNER 2049. The association gave its award for Best Musical Score to Alexandre Desplat for THE SHAPE OF WATER, beating out Hans Zimmer for DUNKIRK. The association voted THE FLORIDA PROJECT as the winner of the Russell Smith Award, named for the late Dallas Morning News film critic. The honor is given annually to the best low-budget or cutting-edge independent film. For more information, visit dfwcritics.com or follow us on Facebook or Twitter @dfwfilmcritics.